Do you have wasp nests under your eaves? Do you find yellow jackets flying into your home? Are you afraid of someone getting stung while at your home? Insect stings can be life-threatening if the person has a severe reaction. We can help eliminate the problem before it becomes a problem. Flying insects can be the most difficult to control since the ability to fly allows insects to bypass the most sophisticated pesticide defenses. However, the risks of being stung can be managed by destroying wasp nests in or near the home and taking some basic precautions when outdoors. Let us help protect you and your family from insect stings and other pest problems. If you’ve noticed a few insects creeping or flying around your home or office, it’s likely you have an insect problem. This problem should be treated by a professional as soon as possible, to prevent the infestation from getting any worse. 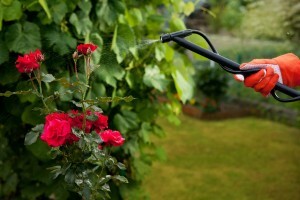 We offer reliable Pest Control Services. We service hospitals, hotels, R & D Centers, food industries and administrative buildings. Don’t leave any insect or rodent problem in your commercial property untreated! Waiting to address the issue means there is more time for the pests to breed, making the problem even bigger. Our pest exterminators will ensure that your home or business is treated with a professional, expert service – tailored to meet your individual needs and requirements. Our highly trained inspectors and technicians will not only inspect your whole house for possible pest entry points, they also analyze your environment to anticipate future problems. Only then will they be able to implement a defensive solution that is tailored to your needs. We offer 100% satisfaction guarantee. Call us today at (501) 777-9937 to schedule an appointment.